For the longest time I've had a very skewed opinion of Kay Francis. I'd only ever seen her in one movie, In Name Only (1938) with Cary Grant and Carole Lombard in which she plays a shrewish, downright nasty woman. I knew she'd had a vibrant pre-code career from reading Mick LaSalle's "Dangerous Women" and from blogs like "Trouble in Paradise." So my first real Kay Francis movie then was Trouble in Paradise (1932) an Ernest Lubitsch film that also stars Miriam Hopkins and Herbert Marsahll. Not only was Kay Francis' image at stake but I was very excited to see an Ernest Lubitsch film that I hadn't seen before since he's one of my favorite directors. High expectations can frequently be a problem with movies and on first viewing I was a touch disappointed. 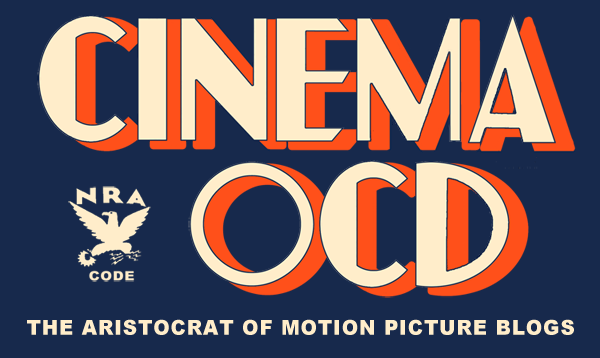 I think I was expecting something a bit zanier, but this film is very sophisticated and funny in a winking, droll way. 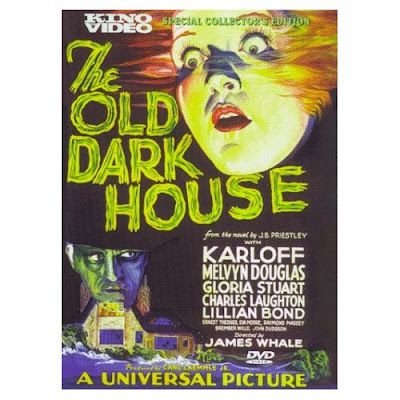 Though Kay's character isn't unsympathetic in Trouble in Paradise, she is a rival to Miriam Hopkins. It's hard not feel that if Herbert Marshall wasn't going to wind up with both women, in a Design for Living style compromise than you just have to root for Hopkins' scrappy, funny jewel thief . I can't help it, I always cheer for funny. Herbert Marshal does a good job of playing a man genuinely torn between the two. It's difficult to know exactly when his con of playing male secretary to the female head of a perfume company becomes a genuine job that he enjoys and does well. In one memorable scene, he leads Kay Francis in exercises, in which she demonstrates that she can lie on the floor and kick her heels over her head. This was pre-code after all--nothing wrong with a little gratuitous caboose. 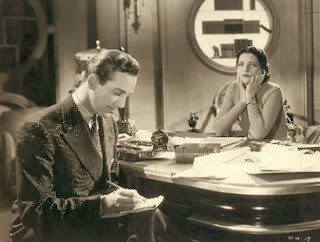 I just watched a much less famous Kay Francis vehicle, Man Wanted, in which she plays another female executive who becomes involved with her male secretary. Though Man Wanted is not in the same class as Trouble in Paradise, it utterly charmed me and I think I finally get whole Kay Francis appeal. She is witty, confident and always makes you believe that she is as every inch as ambitious as the character she plays on screen. With her widow's peak and her smoky deep voice, Kay Francis was something special. I wish there was an actress like her now making movies about smart women in power that didn't fall into the Devil Wears Prada stereotype. While Meryl Streep plays tough minded magazine editor in that movie the whole point of it is that she's lonely and mean-spirited because she's a woman in power who doesn't have time for fulfillment in her personal life. Streep humanizes the devil, but at the end of the day she's still a dragon in four inch heels; she's still the antagonist. 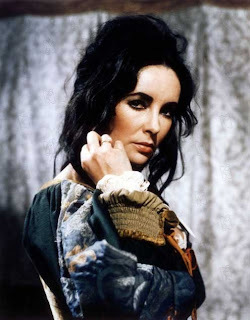 Lois Ames is the heroine and though her personal life is unfulfilled she's not mean or petty. Even when she realizes she's been cheated on, she seems momentarily annoyed and hurt, but quickly recovers her poise to make a joke of it. This is a woman so sure of herself that men are like buses, you miss one and another one will come along in a little while. A few years later and a woman like Lois would be required to find happiness and retirement in marriage. One of the true evils of the production code was its insistence that woman not be shown being happy or fulfilled at work since they were supposedly taking jobs away from men. It's clear that we've never really regained the ground lost to the code, when a role like Streep's in the Devil Wears Prada stands out as being unusual. The man, in Man Wanted is the very lovely David Manners who remains desirable despite being a tad immasculated by all that stenography. Manners, like Francis was very successful in the pre-code era and was a genuine matinee idol who popped up around the time talkies came in. He triumphed over fickle fame by retiring at the top of his game in 1936, to paint, write books and act in the occasional play. 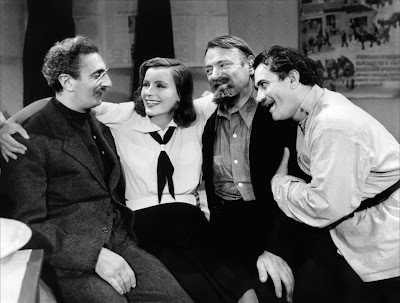 Manners will probably be forever known for his roles in Dracula and The Mummy, but he was also very good at romantic comedy, playing the straight man to comic actors Una Merkel and Andy Divine in Man Wanted. 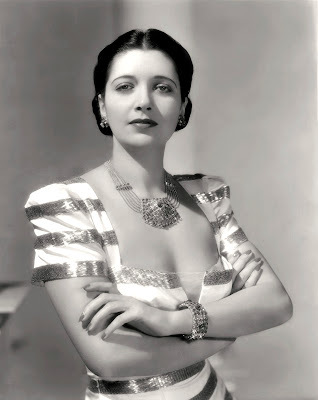 I've loads more Kay Francis movies to look at and from time to time, I'll be adding them to the media room. Back on the Chain Gang: Newman in Cool Hand Luke. Let's take a moment to reflect on Paul Newman. He was a great actor. He hadn't always been a a great actor, he made it through a great deal of his career as a good actor who looked, well, see for yourself. In the late 1970s he began to do something that's nearly impossible for Hollywood leading man to do. He started to age gracefully. He took difficult parts in movies about men growing old and feeling used up. For those of us too young to remember Newman of the late 50s and 60s, he was always just that old drunk from the Verdict or that old pool shark in The Color of Money. I remember when he beat Harrison Ford (among others) for the Oscar in 1987. He was winning for Color of Money, probably not his best performance, but it was a catch-up Oscar. "Oops we haven't given Brick Pollitt, Cool Hand Luke, Butch Cassidy, or Reg Dunlop an Oscar yet." I really wanted Harrison Ford, my favorite actor at the time, to win for Witness. I ran to my kitchen, grabbed a bottle of Newman's Own Italian dressing out of the door and shook it till I felt better. I guess hadn't really learned to appreciate the awesomeness of Paul Newman yet. 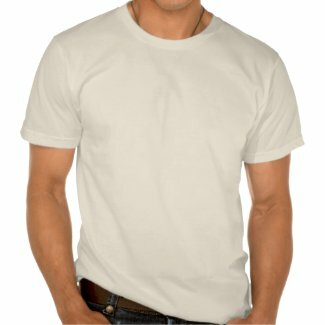 The next year I watched Cool Hand Luke (1967) and it changed my mind about the actor . If ever there was a movie tailor made to cater to the interests of a dorky 17 year old girl, it was Cool Hand Luke. It has authority or "authorit-tie" being disrespected, unrelenting, soul-crushing random punishment that might as well be high school and one really cute boy who just can't keep his shirt on. I think my favorite thing about Luke is that he eats 50 eggs on a bet. I can relate to that self-destructive kind of need for attention. I do, afterall, keep a blog. He just wants credit for his egg eating ability, so he continues, despite Dragline's (George Kennedy) warnings of doom. Cool Hand Luke had as much appeal for the wannabe rebel of the late eighties as it did for the disaffected youth in the late Sixties. Toward the end of the movie Newman has a somewhat contrived, though beautifully acted scene in which he questions God, "You made me what I am. How am I supposed to fit in?" No matter how many times they put Luke in the box, he just kept coming back at them, with his banjo, his escape attempts and his real purpose, which is seemingly to unmask authority. In the final case, the mask is a literal one, the cold souless, reflective aviator sunglasses that the bosses henchmen wear while beating the prisoners into submission. The filmmakers made some attempt to turn Luke into a Christ figure, even filming Newman from above sprawled out in a crucifixion pose. Paul Newman had other great roles, of course. I'm even kinda partial to his final role as Doc Hudson in Cars. And I bet I could eat 50 of those Newman's Own Fig Newmans.